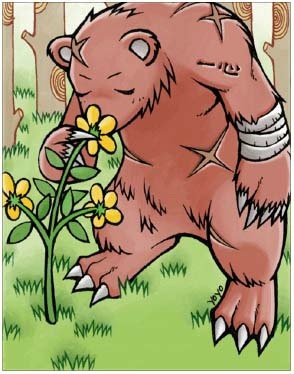 Contrary to its brother Berserk Bigfoot, it is very generous and likes the harmonious nature. It is highly concerned because of its thick and wide feet. It is often framed by the bad guys who are greedy. They just want its fur and paw.